Tagging is great for being able to tag just a random selection of people or companies in your address book that aren't otherwise related to one another. 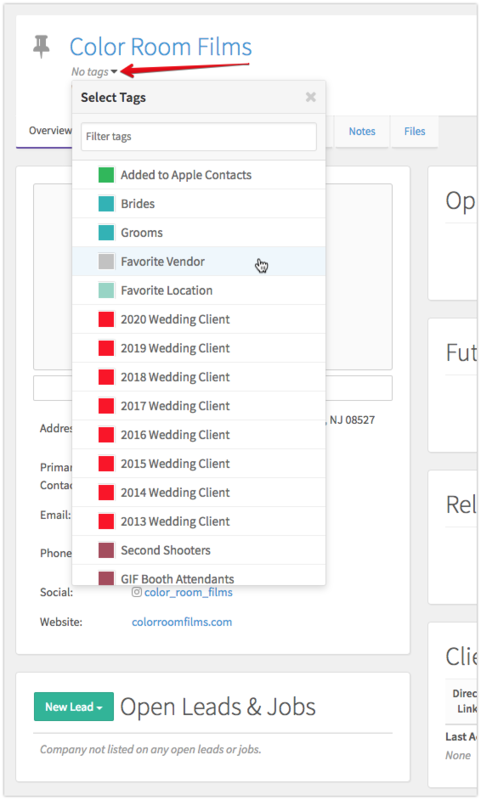 For example, you can create a tag for something like "VIP Clients" or "Favorite Vendors" to manually tag contacts with that so you can further create some searches based on that criteria. At any time, you can run a search in the Address Book that includes the filter for "Has Tag" and it will show me just contacts with that tag. You can even save that as a sidebar list in the Address Book so you can easily refer to it at any time you need to! Find out more here on filter ideas for your Address Book lists.